This thread is for whatever little snippet people want to discuss; curious facts, pet peeves, little rants, funny events, humor, etc. I've heard a couple of times that our site is too high brow and intimidating. It shouldn't be so. For one thing, we *never* belittle any member for the occasional less informed opinion (oh well, I should rather say *almost never* but if it ever happens - since people here, like everywhere else in life, are fallible human beings who are entitled to having bad days and being snappy from time to time - our moderation team is ready to redirect things to more positive behavior). In addition to this, our expert members are more than happy to provide gentle guidance to beginners - we're friendly folks here. Better proof, out of our almost 5,000 posts, our moderation team had to intervene so far, I don't know, some 3 times! That's less than 1 harsher post in 1,000!!! This is proof of our members' high standards of behavior, which is not what we see in many other Internet venues. I think our moderation team in all my decades of Internet activities is probably the one I've seen with the least to do... since it is so rare to run into bad behavior here at Opera Lively! Even the members with the most expertise were beginners at some point in time, and there is no shame in it, much the opposite. While we do have some members who are opera scholars and musicians, most of us are just regular opera lovers, and there is plenty of storage space in our server so that the high brow and the lighter content can perfectly co-exist. So, you have some chit-chat about opera that you'd want to share, but you weren't doing it because you thought Opera Lively was too serious? Nope. We want to be... lively. So bring it on! I'll start. True story, I swear. I was in a party yesterday. Some people I was meeting for the first time asked me what I do for a living. I replied with a description of my "day job" but added - you know, I have a sort of second career although it's not for profit; I've been getting into opera journalism. People then were curious to know more and I told them about Opera Lively and some of the journalistic content we've been publishing. They asked if we had interviewed any famous people. I said, "as a matter of fact, yes, our various staff members have had access to some rather big names in opera and we've published interviews with them; some short, some long." Blank looks. Short silence. A guy says - oh, these I don't know. You haven't interviewed the most famous one of them all. Me - And that would be? Me, shocked (I should have seen it coming - but since this was a gathering of rather educated professionals, I was hoping for something like Renee Fleming or Placido Domingo or at least Pavarotti if the guy didn't know that he's dead) - Erm... that one isn't an opera singer. He sings opera arias on microphone, and not very well. Guy - Get out of here! He's the best!!! Guy - Because I paid 400 bucks to see one of his shows. He's gotta be the best if he can command this kind of ticket price. Guy - Really? What a rip-off! Why would someone pay $1,000 to see some unknown person if they can pay $400 to see the best one, Bocelli? Me - Erm... because the ones I mentioned are better singers, and the real thing, able to sing a 3-hour opera on stage without amplification? OK, whatever, people like what they like, that's fine. By the way, who do you all think will win the Super Bowl, the Giants or the Patriots? Meanwhile, I think to myself - "I just hope they won't get Mr. Bocelli to sing the Star Spangled Banner before the big game..."
Last edited by Luiz Gazzola (Almaviva); January 25th, 2012 at 06:31 PM. aaaargggghhhhhhhhh. Quite so. 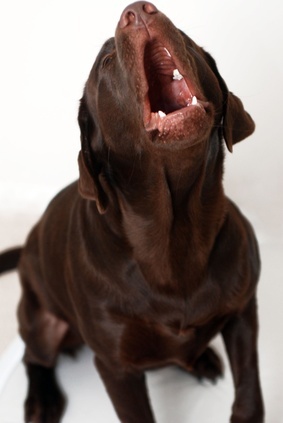 Bocelli sings like a labrador. Last edited by Luiz Gazzola (Almaviva); July 21st, 2012 at 04:13 PM. Last year when I was coming out of the theatre after Le Nozze di Figaro, I overheard an old lady sounding very puzzled: "Well, that was odd. They never sang that "Figaro, Figaro, Figaro" bit". When I was at the performance of La Traviata in Bayreuth Festival in 1984 someone came to my lodge without invitation and said to me HEY, I'VE HEARD THAT YOU'RE SECOND GREATEST PIANIST ON THE WORLD... and I replied I'VE HEARD THE SAME ABOUT YOU... just when the performance was about to end with Enrico Caruso singing "Una voce poco fa". You do realize, of course, that the local PETA chapter will be coming after you for insulting labradors! Oh, that's so funny! Now I know my sister isn't unique! I'd posted a couple of days ago in another thread that she told me she'd seen one opera, 'Figaro', and didn't like it--it was silly. And as I , slightly boggled by that reaction, tried to suggest tactfully that Mozart's opera isn't considered totally silly--could she have seen a bad production of it?-- she clarified everything by saying: "You know: 'Figaro, Figaro, Figaro, Figaro." I recently finished reading Willa Cather's novel "The Song of the Lark," which traces the artistic development of its protagonist, the young Swedish-American Thea Kronborg. Many believe that Thea was modeled on the noted Wagnerian soprano Olive Fremstad, of whom the author was a close friend. Cather denied this, but there are some definite parallels between the fictitious character and the diva. It's also true, however, that Thea's hometown of Moonstone, Colorado, was clearly modeled upon Cather's own hometown in Nebraska, and Thea's experiences among the Arizona cliff dwellings of ancient Native peoples mirror Cather's own in Walnut Canyon near Flagstaff. In any case, it was quite an enjoyable and interesting read. I'm going to be really badly behaved for a moment. I'm listening to the Met streaming of Gotterdammerung. Isn't it a slight foot-in-mouth moment for the interviewer to say to Angela Meade: "And you're a biiiiig bel canto singer!" Okay--back to opera and trying to redeem myself--she just said she'd love to sing Ermione or Semirimide. Wow, would I love to hear her! Greatly looking forward to Ernani. I'm also looking forward to seeing her in Ernani. Thank you--that's a delightful interview. Re: the Gotterdammerung broadcast--I wouldn't dream of making any serious comments--hearing it streamed onto my laptop with its dinky speakers, but I can hardly wait to read a review from someone who was there, and hear what the visuals were like. Just one comment, that Deborah Voight seemed to have some shrill/strained moments at the first of it, which worried me slightly, but the ending was splendidly radiant. Oh wow, this gives me ideas for the Natalie Dessay interview. Maybe we should do a video interview with her, instead of just using the digital voice recorder! Wow, would also love to hear her in more Mozart roles! Yes, what a lovely voice.